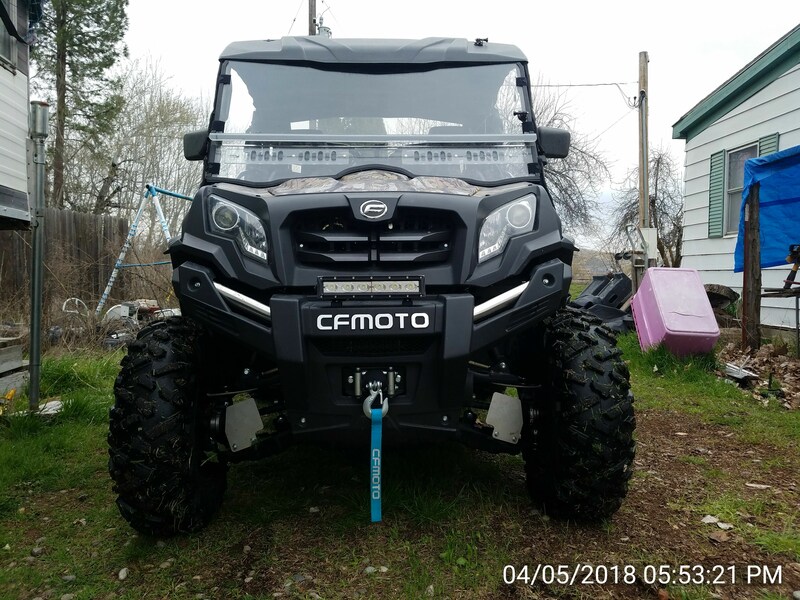 Hay guys new to the CFMOTO brand and have been really happy so far. I would like to put some 1.5" wheel spacers on but have gotten different responses on sizes. Figured this is the better place to go.any suggestions on best price and what exactly I'm supposed to buy? Just ordered them Thank you! Is dead on with the spacers. I ordered the same part and they work great. Same here and it’s perfect. I haven't had any wheel bearing issues yet but I did have the lower rear knuckle bushing wear faster then I thought they should..it may not have been from the spacers because those were one of the sets that seized on the sleeve early in life. I replaced them with the ASR Delrin bushings for the RzR 800 and hasn't done it again. In fact I am replacing all the bushing with these as time goes on. I have 5500 km now on my ZForce 800 and no bearing or bushing have failed. I will make a big maintenance this weekend and check all bearing an bushing. Anyone running 8-inch wheels on the front with the 1.5-inch wheel spacers? I am interested in running 8-inch wheels front and rear with 28-inch DOT tires fr street and rocks. Did those spacers work on your Uforce? The compatibility box says they won’t work on the Uforce 800 eps ? Spacers worked perfect. Best thing I've done to my uforce yet. Wheelspacers don't work on my U800. The fenders at the back are rubbing on the wheels. The older models don't have these fenders so there it can work. The 2016/17 and 18 models here in Europe have these fenders. We can drive here on hard tomac, so my suspension is on the lowest position for a smooth ride. How far does your ride drop when you get a load in your U800? I haul quite a bit in my 2017 UForce, and have put the springs at the highest setting. I'm wondering if the spacers would let make rub with the suspension so tight? I also carry a load of trail tricks and supplies, in addition to lightweight passengers in an add on back seat. The rear U force springs just seem to sag pretty well under weight, I'm planning on custom fitted Elka's to take care of about a 2" lift and better comfort and weight handling. I took my springs off the highest setting and used fabricated sleeve spacers, which allowed the adjusters to be set back on the lowest setting. I think they simply need a better shock / spring setups geared to more specific needs. I have the same spacers, they fit fine, I had a slight rub before them with 28" tires, but haven't really had it out to test it yet with the spacers on. My guess is if it doesn't rub now, it probably won't with the spacers on. I never have heavy loads on my U800; I never testet it. I never transport more than 150 pounds. Update: After testing, I did have to trim a bit off the rear portion of the fender flare, the part that pointed down by the tire inside the wheel well about 3/4 ", not even noticeable. Now no rubbing with 28's.